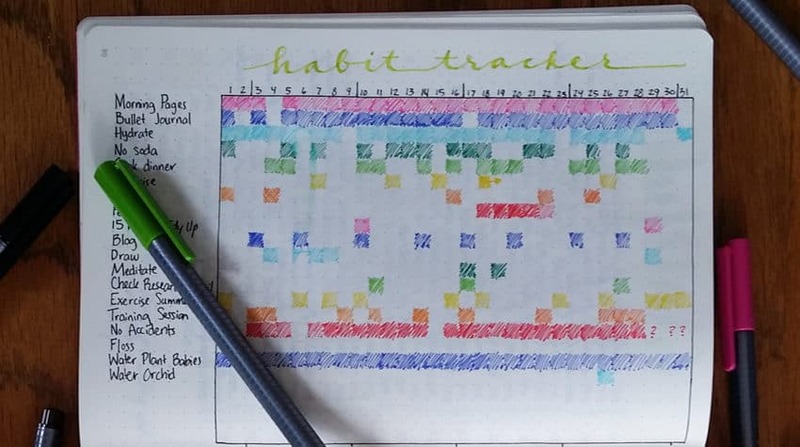 The Beauty of a Daily Habit Tracker Do you use a daily habit tracker? You know, that simple little thing that you can find in every month of my bullet journal? Cuz you really should, it is one of the best things you can do for your productivity. This handy chart allows me to keep … Continue reading 40 Things to Track in Your Habit Tracker + Free Printable!